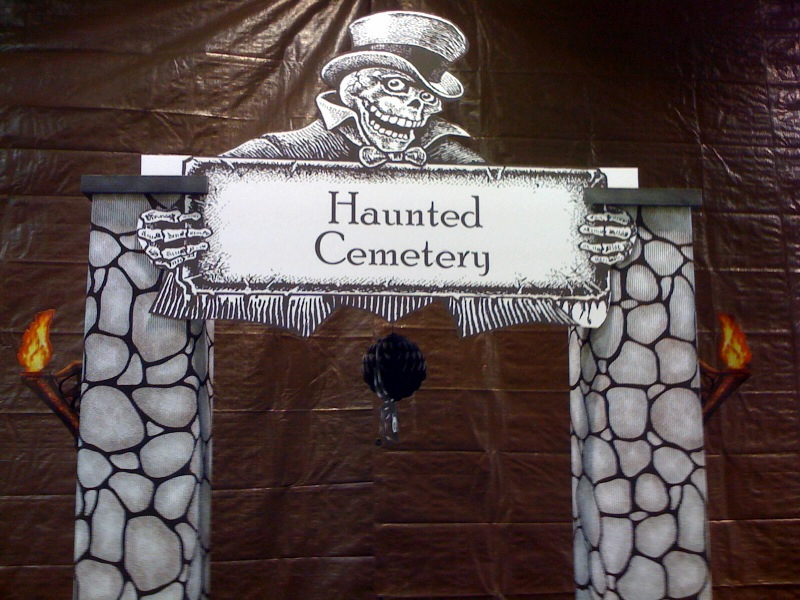 Haunted Cemetery Theme Kit Entrance with Fence - Cardboard Prop - Dino Rentos Studios, INC. 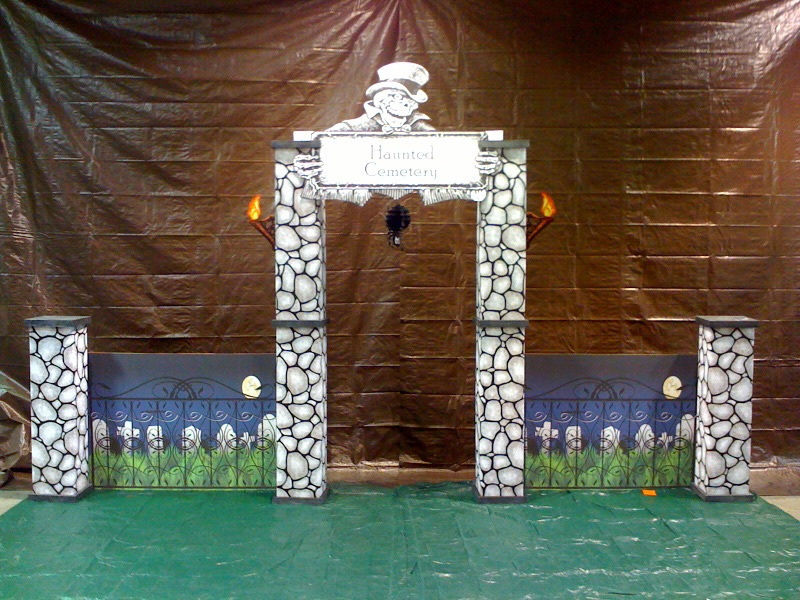 This full 3D Full cardboard and foam Halloween Prop Kit is the perfect entrance for your event, party or window display. 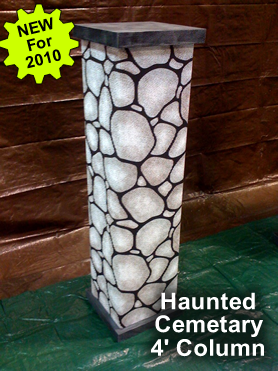 This full Cemetery kit is just over 10 feet tall and 17 feet wide. 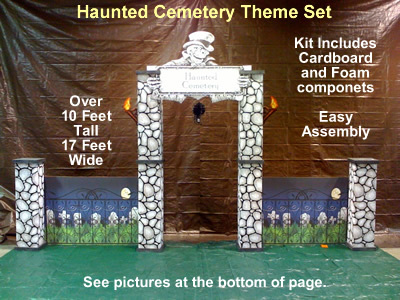 The kit comes with all the pieces to assemble the Halloween cemetery in approximately 1 hour. Components are both foam and cardboard giving extra strength and good looks. Tops of the columns look like real stone, not a "Pizza Box". One - Hanging Tissue Spider.